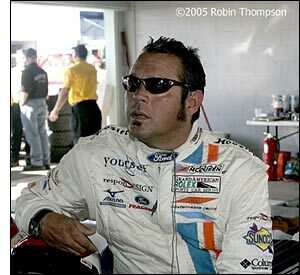 Chad McQueen - who was severely injured while testing at Daytona early in January - expects to make a full recovery from his injuries. He has however concluded that his driving career is now over, but has expressed an interest in continuing his racing involvement as a team owner. The initial news from the Halifax Medical Centre at Daytona was very worrying indeed, but McQueen is in the process of making a remarkable recovery. He’s back home in California now, having been released from hospital in his native state. "I just want to let everybody know how grateful I am for all of our friends who have reached out over the last month," McQueen said. "I want to extend particular thanks to (Brumos Racing owner) Bob Snodgrass, who is something like a father figure to me, and Jim France, for all of their help and making sure I had the best medical care available. I also appreciate all the support and efforts from (car owner) Jim Tafel and (team manager) Tony Dowe and everybody at the Tafel Racing team. "Believe it or not, I was conscious for most of the accident. I remember being cut from the car, but little else after that. It has been a long recovery, but I am going to get back to 100 percent health. I am doing more and more physical therapy each day, and I am going to put this behind me. "My driving days are over. I have talked with Bob (Snodgrass) about owning a team, and I definitely want to stay involved in the sport. A team would be a great way to do it. I would like to attend Long Beach. That would be great and I would love to see everybody there. I will be there." Meanwhile, the Tafel Racing squad is in action at Mexico City this week, and the GT order in Thursday’s two practice sessions was Tafel Porsche / #05 BMW (Auberlen) / TRG Pontiac / TRG Pontiac / Tafel Porsche / Tafel Porsche (session 1), and TRG / Tafel / TRG / Tafel / #05 BMW in session 2. 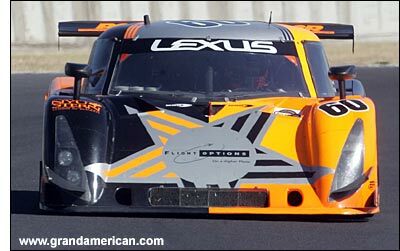 The #60 Michael Shank Riley Lexus was fastest in DP in both sessions (Oswaldo Negri). The Cheever Racing Crawford Porsche was third fastest in the first session.